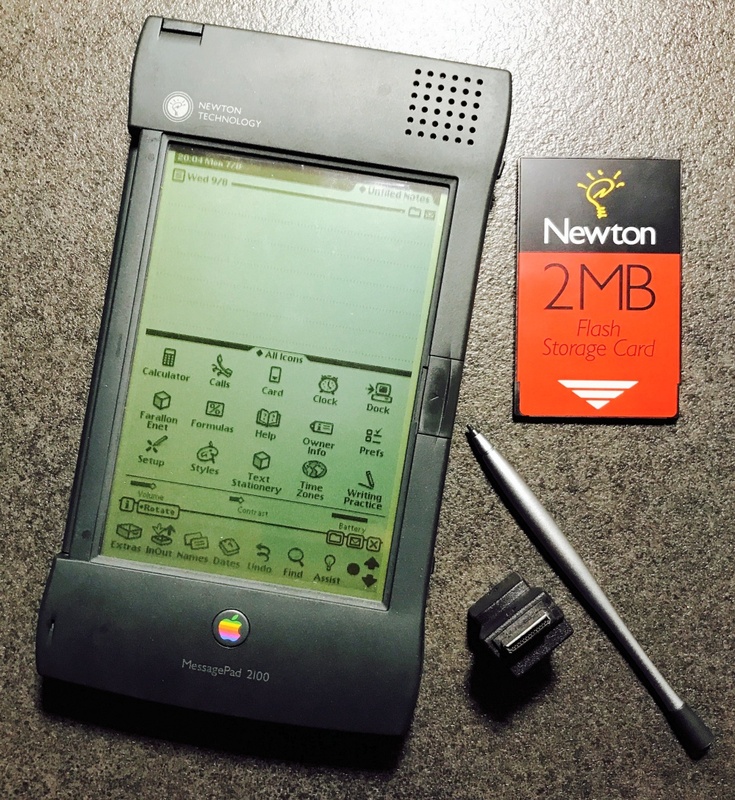 More than a decade before the launch of the iPad and iPhone, Apple had another range of handheld computing devices called the Newton series. Launched originally in 1993 to a press fanfare but mixed reviews, the Newton range was improved over its lifespan up to the final device in the range – the Apple Newton MessagePad 2100. 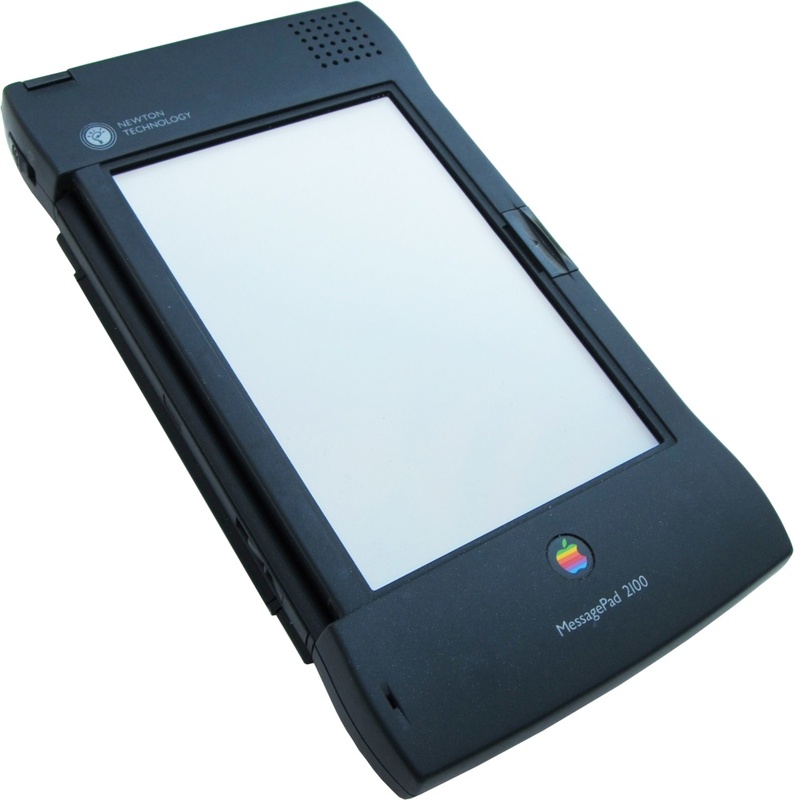 Not too dissimilar in footprint to an iPad Mini, but much thicker and heavier, the MessagePad 2100 sported a 6.1” monochrome LCD display with a 480 x 320 pixel resolution and a stylus. Inside is a 162 MHz ARM processor with 4MB of RAM and 4 MB of flash storage. Connectivity was through infra-red or an Apple LocalTalk connection with two PCMCIA expansion slots that could be used for things like modems or network cards. Software available included a word processor, e-book reader, web browser and email client. It sounds like a modern tablet, but really it wasn’t anything close. There was no kind of cellular or mobile data (GPRS and EVDO would come a couple of years later, as would generally available WiFi) so connecting to the internet would typically involve a cable and the horrors of a dial-up modem. To a large extent the MessagePad was just an electronic personal organizer rather than the sort of device we’d see today. The MessagePad struggled against the market-leading Palm Pilot and early shortcomings had tarnished its reputation in the public eye. Despite a great deal of goodwill from Apple fans of the late 1990s, the Newton range wasn’t the success that Apple were looking for. The entire platform was axed by Apple’s new CEO, a certain Steve Jobs. Fans of the Newton platform argue that it was killed off just as it was getting into its stride, and that Jobs may have been partly motivated by revenge against the people who ousted him in 1985 from the company he founded. MessagePads of most varieties are still popular collectors’ items, with prices for the 2100 varying between about €50 to €400 or more, depending on condition and accessories.